The Northern Partnership will engage with the wider community to identify issues and opportunities, and advise State Government on the priorities for this region. Health and Wellbeing - Improve health and wellbeing by increased access to affordable primary health services that cater to everyone in our community with a focus on early intervention. 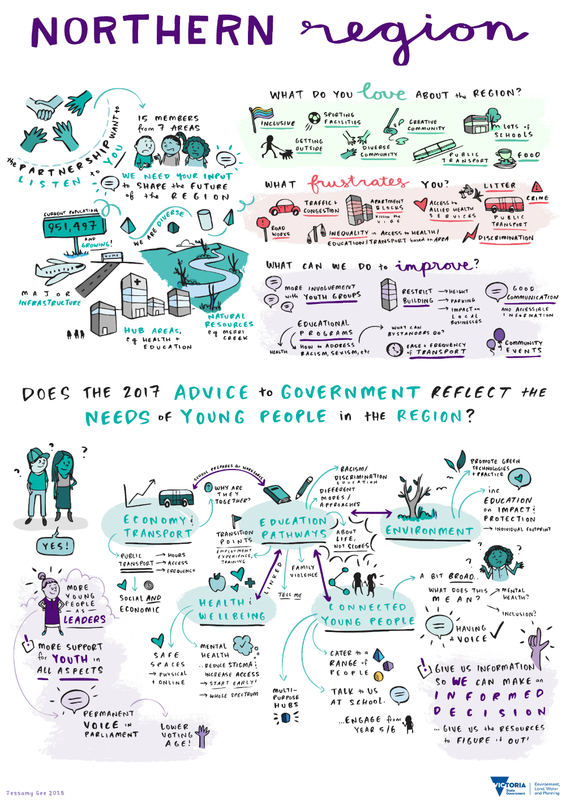 Connected Young People - To build a strong and resilient region where young people have a voice, feel connected to their communities, are healthy and respected, and where diversity thrives. The Partnership held its second annual Assembly on Wednesday 15 August 2018 at the Hume Global Learning Centre, Craigieburn, where it heard directly from the community about how to further progress priorities for the region. Watch the video below to see the 2018 Assembly in action, or read the 2018 Northern Assembly Summary Report to see the feedback and great ideas from the night's discussions. The Northern Metropolitan Partnership is currently reviewing all the feedback it received from the community during 2018 to develop its advice to government on the priorities for the Northern region. The Partnership looks forward to sharing its 2018 advice shortly. In May 2018, young people from the North shared their ideas for maintaining and improving the livability of their community at the first Metropolitan Partnerships Youth Forum. To find out what participants had to say about what's important as a young person living, working and studying in Melbourne read the 2018 Metropolitan Partnerships Youth Forum report and watch some of the highlights from the Northern breakout discussions. On 25 October 2017, 172 community members, business representatives, councillors and mayors came together to help determine the key priorities for the Northern Metro Region. The outcomes of the Assembly have been used by the Partnership to inform their advice to government on priorities for the Northern region. You can also download a copy of the 2017 Assembly Summary Report. Melbourne's Northern Metropolitan Region stretches from the inner city suburbs of Brunswick, Northcote, Alphington and Ivanhoe, to the outer areas of Craigieburn and Sunbury, and to the Kinglake National Park and rural and interface communities of Whittlesea and St Andrews. It is a diverse and vibrant region, featuring Melbourne’s major airport, arts and cultural precincts the National Employment and Innovation Cluster in LaTrobe and new growth area communities on the northern fringe of the city. 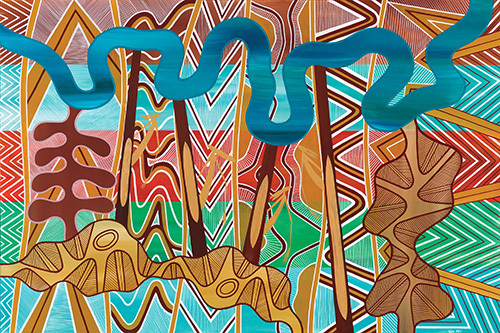 Melbourne’s Northern Metropolitan Region is the traditional home of the Wurundjeri people of the Kulin Nation. Read more about the Northern Region.